TANJUNG REDEB – Skuadron Serbu 13 Penerbad yang berada di Bandara Kalimarau, siap dioperasikan dalam waktu dekat. Komadan dan sejumlah personelnya, telah berada di Kabupaten Berau, saat ini. “Penerbad (Skuadron Serbu 13, red.) tinggal diresmikan saja. Dan rencananya memang setelah lebaran ini mulai beroperasi,” ungkap Dandim 0902/TRD, Letkol Czi Slamet Santoso kepada Berau Post, Selasa (28/6). Untuk progresnya, dikatakan Slamet, baru mencapai sekitar 60 persen. Pasalnya, peralatan, armada helikopter dan sebagainya belum bergeser ke Kabupaten Berau. Termasuk pembangunan rumah prajurit. “Tetap dioperasikan dan itu sambil berjalan, ya setelah lebaran itu sebagian peralatan dan unit akan bergeser. Heli penerbad kan ada di Tarakan, nah itu nantinya akan di tempatkan di Berau,” terangnya. Terkait pembangunan perumahan prajurit, rencana awal pembangunan telah disepakati dengan Pemkab Berau di depan lapangan golf Jalan Raja Alam, Kecamatan Teluk Bayur, sesuai persetujuan Bupati Berau saat masih dipimpin Makmur HAPK. Tetapi, pihaknya tetap akan berkoordinasi dan bersurat kembali terkait rencana pembangunan perumahan prajurit, kepada Bupati Berau saat ini. Rencananya, pembangunan perumahan untuk 50 prajurit yang akan bertugas di Skuadron Serbu 13, juga bisa dilaksanakan usai Idulfitri nanti. ”Saat ini sudah ada komandannya di Berau, dan ada sekitar 30 sampai 40 personel juga ada di Berau. Mereka sementara tinggal di barak Skuadron. Untuk rumah komandannya sudah jadi,” jelasnya. Ditanya jenis helikopter yang akan beroperasi di Berau, Slamet belum mengetahui pasti. Informasi awal yang didapatkannya, baru satu jenis. “Kemungkinan ada jenis lain, saya belum tahu pasti,” pungkasnya. Seperti diketahui, Skuadron Serbu 13 yang dibangun di area eks terminal lama Bandara Kalimarau, sudah dilengkapi Shelter, apron, markas komando (mako), hanggar, gudang har, barak siaga, mes perwira, rumah dinas komandan dan rumah dinas wakil komandan. 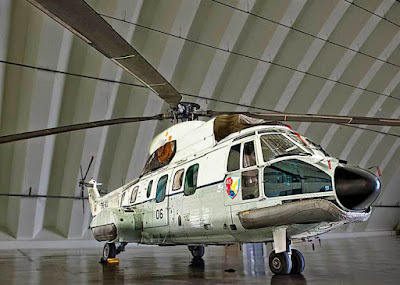 Currently submarine hunt forces Naval Aviation Vietnam covers only 8 Ka-28 is a Soviet Union transferred in the period 1989-1990. 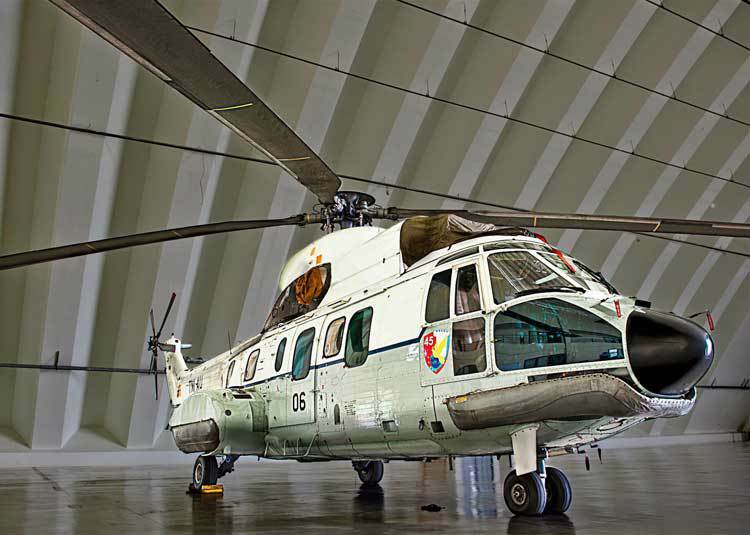 After nearly 30 years of service, anti-submarine capabilities of the helicopter with coaxial rotor configuration unique in being judged is outdated, does not meet all the requirements of modern warfare, though went through the upgrade process in Ukraine. Realizing the weakness on Navy Vietnam last time has made the move to find alternative subjects, including "cult" is the most exposed group to evaluate AgustaWestland helicopter AW159 Wildcat underground hunt, but so far no progress. After the US lifted the arms embargo, MH-60 Seahawk suddenly emerged as a top candidate. But P-3C Orion same unit prices 45-55 million / unit (depending on version) causing them to exceed the reach of Vietnam. 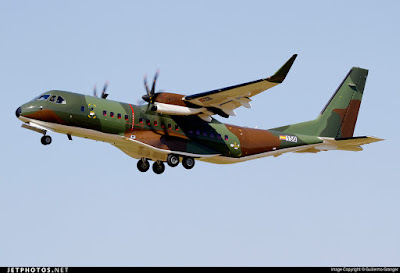 However with the latest developments, while Vietnam is Japan expressed interest in providing P-3C used (especially according to some statements, the Northeast Asian countries are willing to sell cheap or even financial support), it also opens up prospects for our ability to buy helicopters to hunt both underground SH-60J Seahawk. SH-60J is the version based on the SH-60 Seahawk US, is produced in Japan by Mitsubishi Heavy Industry Corporation under license from Sikorsky. 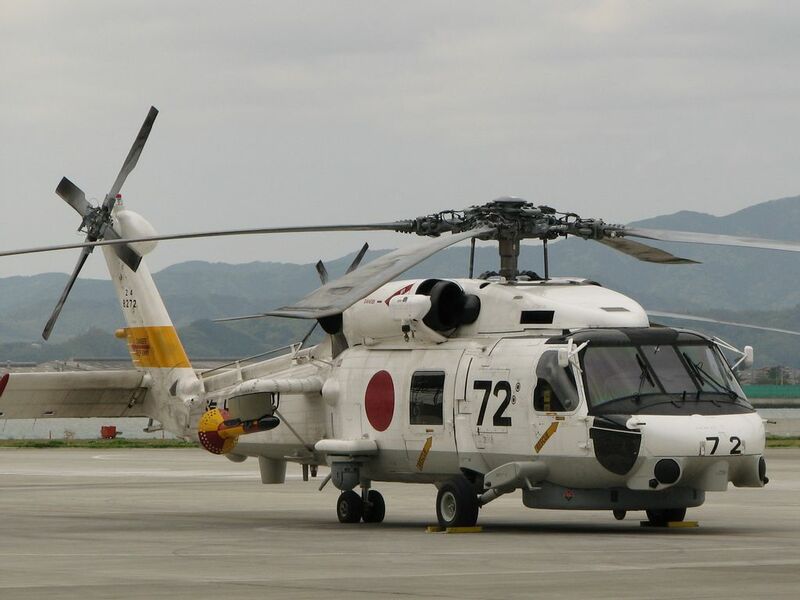 Mitsubishi started transferring the first SH-60J JMSDF in 1991, they officially on the payroll shortly thereafter. Basically, the SH-60J is the SH-60B hybrid SH-60F and, differences lie mostly in the electronic system. Japanese aircraft fabrication equipped with sonar embedded HQS-103, phased array radar scanning and proactive HPS-104 electronic warfare systems HLR-108. SH-60J using domestic motor T700-IHI-401C supplied by Ishikawa-Harima. In addition to anti-submarine weapons like torpedoes dedicated Mk 46 lightweight, Type 74, Type 12, the bomb, the SH-60J sink ... also bring both 7.62 mm machine guns, rockets and rocket Hydra 70 mm Hellfire anti-tank for fire support missions for the Marines. P-3C similar is being replaced by a P-1, Mitsubishi Corporation has now upgraded version produced SH-60K as a complement and ready bridging the gap of the SH-60J the production of the first batch money. If Vietnam is Japan agreed to transfer the patrol aircraft P-3C Orion submarine hunt, the more likely we will buy SH-60J Seahawk attached to synchronize equipment. Although relatively "older" but of Japanese weapons has always been appreciated for the quality and reliability, will also serve to add a long time to come. With rich combat experience and advanced facilities in Japan, Vietnam Navy will ensure complete protection tasks island sovereignty before a large submarine force of the enemy. The plan should be promoted to a deployed immediately in the near future. Elbit Systems has conducted torpedo launch trials from its Seagull unmanned surface vessel (USV) in waters off the port of Haifa. The tests involved two firings of a lightweight torpedo; however, the company would not disclose to IHS Jane's which torpedo was utilised except to say that it is an "off-the-shelf" solution. The purpose of the trials was to verify and demonstrate the installation and launch of a torpedo, rather than test the capability in a target engagement cycle. "We wanted to prove that all systems functioned and that a torpedo could be launched from such a small vessel," the spokesperson said. During the trials the Seagull operated in a swell of around 1 m (Sea State 3), although the torpedo launch capability can be utilised in higher Sea States, according to the spokesperson. 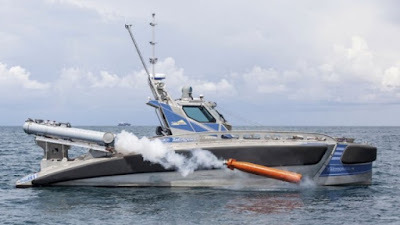 The launcher configuration for the trials represents that which will ultimately be used operationally, the spokesperson said, noting that this meets the tactical deployment considerations for the torpedo. Seagull is designed to offer a multimission USV capability, filling a wide range of roles with an initial focus on mine countermeasures and anti-submarine warfare (ASW). Wider applications are set to include maritime security and force protection - the platform can be fitted with a remote weapon station - and intelligence, surveillance, and reconnaissance (ISR), among others. Further tests of Seagull's torpedo capability - and of other payloads - are scheduled to take place, the spokesperson confirmed. For ASW operations, Seagull will be fitted with an L-3 Ocean Systems HELRAS low-frequency dipping sonar. Seagull is 12 m long with a draft of just 0.8 m and a beam of 3.3 m. It has a top speed of 32 kt, can carry up to 2,500 kg of useful payload, and has the capacity for 3,500 litres of fuel, which equates to an operational endurance of 96 hours. 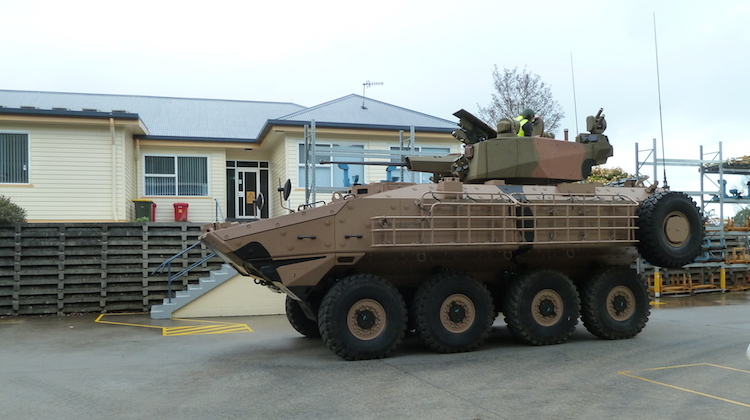 Team Sentinel, primed by Elbit Systems of Australia, has shown off its offering for LAND 400 Phase 2 in Tasmania, where Elphinstone would manufacture the Sentinel II combat reconnaissance vehicle, if successful. 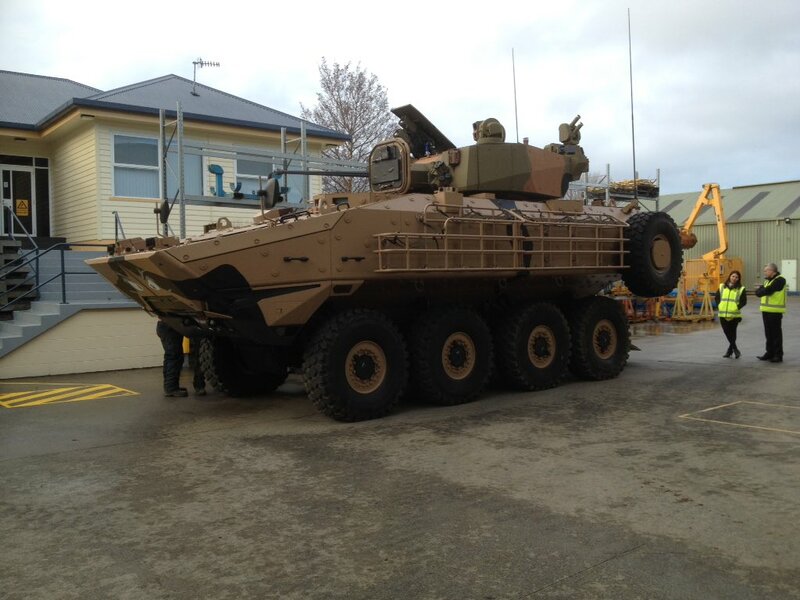 The 8×8 Sentinel II vehicle – complete with Tassie devil paint scheme – is based on the Singapore Technologies Kinetics (ST Kinetics) TERREX 2 hull and driveline as shortlisted for the US Marine Corps’ Amphibious Combat Vehicle Phase 1, Increment 1 (ACV 1.1) program. Also known as the TERREX 2-35, because it has a gross vehicle mass of 35 tonnes, the Sentinel II is fitted with an upgraded drivetrain and more powerful engine. The Sentinel II is equipped with a variant of Elbit’s manned (but convertible) MT30 turret, fitted with a 30mm Mk44 Bushmaster cannon. This turret could be changed over to the unmanned UT30 configuration in four to six hours; for instance, such a decision could be made once a vehicle has been deployed. 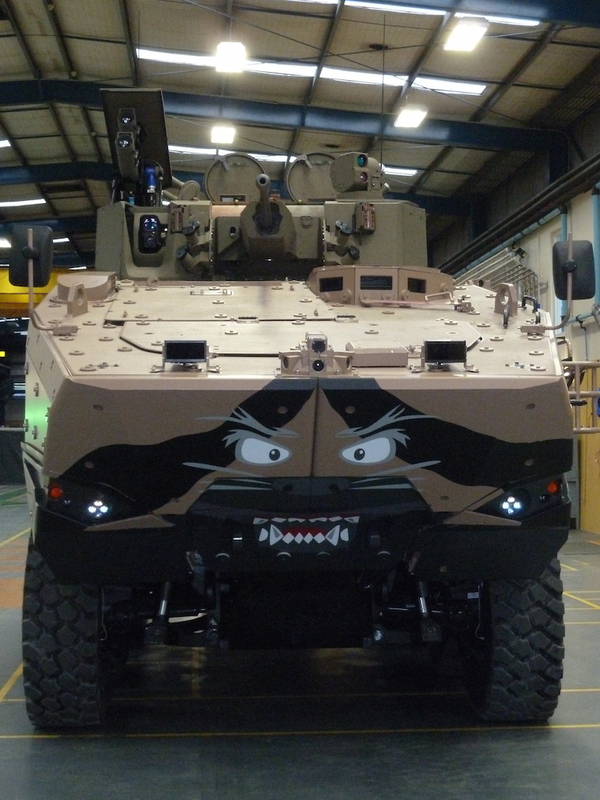 The UT30 Mk2 has been put on vehicles for Brazil, the Philippines and Israel. 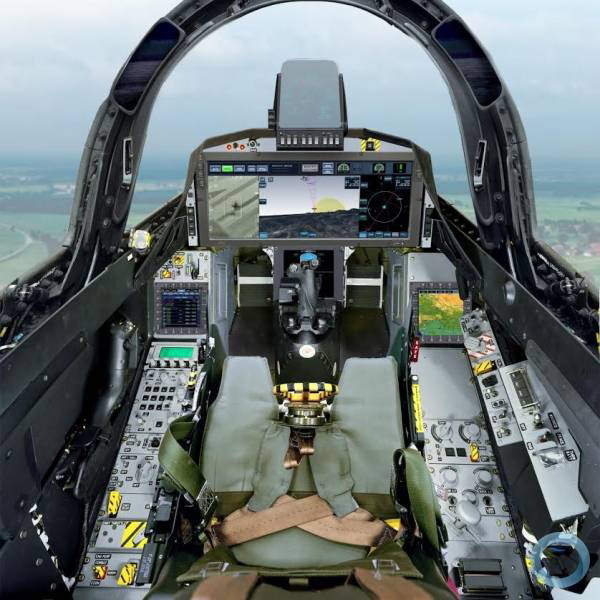 Sentinel II is fitted with the latest generation of Elbit’s battle management system, integrated with the weapons systems and defensive systems to create Weapon Integrated BMS (WINBMS). The media was given the chance to clamber over the vehicle – intended for the Risk Mitigation Activity (RMA) – on Tuesday, after the hull was flown in on Friday last week aboard an Ilyushin Il-76, and put together with the turret and combat system over the weekend. 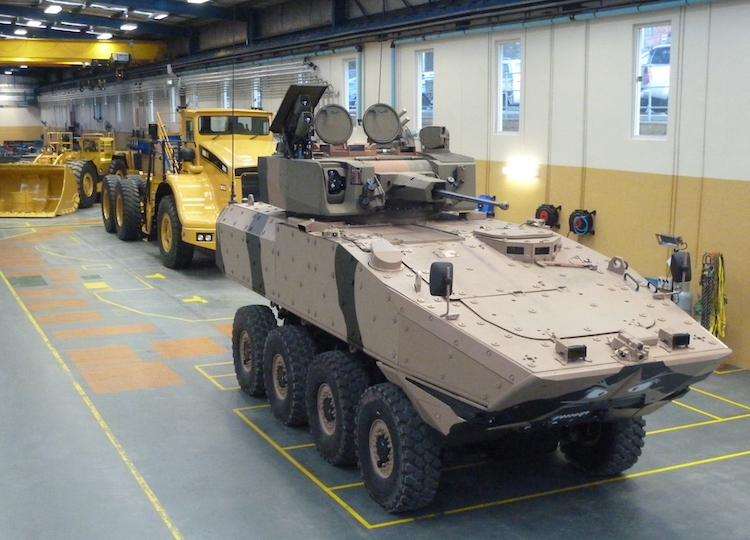 Underlining its commitment to achieving 67 per cent Australian industry content within the Sentinel II, Elbit Systems of Australia has signed a memorandum of agreement with Marand to manufacture the third RMA vehicle’s turret. If the Team Sentinel bid for LAND 400 Phase 2 is successful, Marand would manufacture and assemble 180 turrets in Geelong; these turrets would then be fitted to vehicles manufactured in Tasmania by Elphinstone at a final assembly and production facility to be located at Avalon Airport. 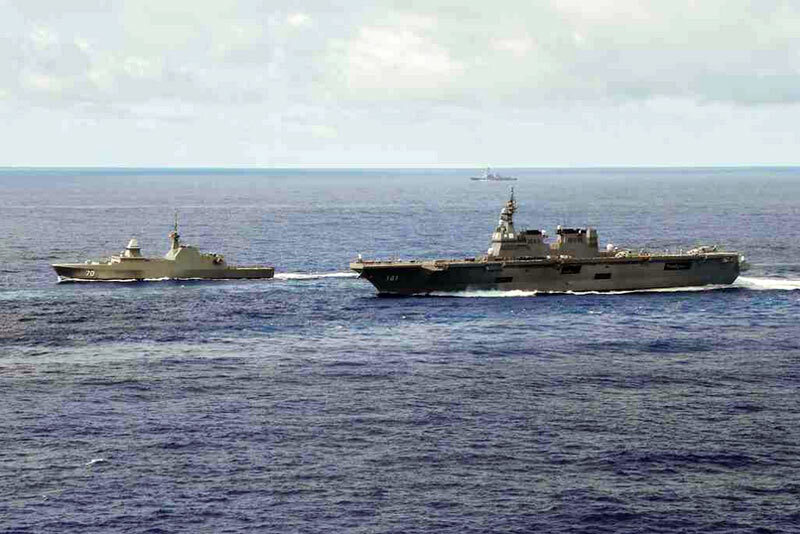 The Republic of Singapore Navy (RSN)'s Formidable-class frigate RSS Steadfast (left) leading the Multinational Group Sail (MNGS) with two other warships from the Japan Maritime Self-Defense Force (JMSDF) (right) and United States Navy (USN) (in far background). 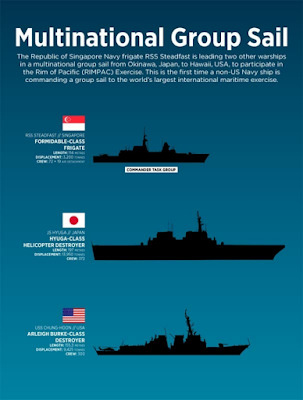 The Republic of Singapore Navy (RSN)'s Formidable-class frigate RSS Steadfast is the first non-United States Navy (USN) ship to lead a Multinational Group Sail to participate in the Rim of the Pacific (RIMPAC) Exercise, the world's largest international maritime exercise. 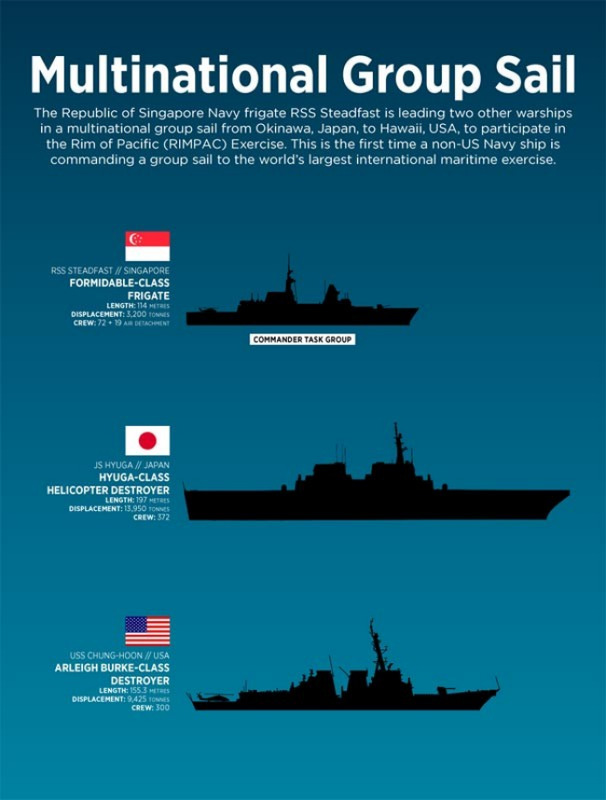 From 18 to 29 June 2016 (Singapore time), the RSN is leading two other warships from the Japan Maritime Self-Defense Force and the USN in a sail from Okinawa, Japan, to Hawaii, USA, to participate in Exercise RIMPAC. The USN is leading three other multinational groups that are sailing from San Diego and the western Pacific Ocean. The RSN conducted naval warfare serials with the two other naval ships en route, in preparation for the high-intensity sea phase during Exercise RIMPAC. RSS Steadfast, with an embarked S-70B Seahawk naval helicopter, led the conduct of helicopter operations, surface warfare drills, gunnery firings as well as manoeuvring and communications serials. The exercise serials enhanced interoperability and mutual understanding among the naval ships. Commenting on the navy-to-navy interactions, Commanding Officer of RSS Steadfast, Lieutenant Colonel (LTC) Ooi Tjin Kai, said that the Multinational Group Sail presents a valuable opportunity to strengthen inter-navy partnerships. LTC Ooi said, "The exercises at sea help to build confidence in operating with one another. As commander of a Multinational Group Sail, the RSN plays an important role in catalysing cooperation between the participating navies and we are glad to be able to value-add to the interactions." Hosted by the USN, the biennial Exercise RIMPAC will be conducted in the waters off Hawaii from 1 July to 5 August 2016 (Singapore time). This is the fifth time that the RSN will be participating in the exercise. Exercise RIMPAC, as well as the Multinational Group Sail component, serve as important avenues for the RSN to sharpen its combat proficiencies and deepen professional ties and interoperability with the other participating navies. 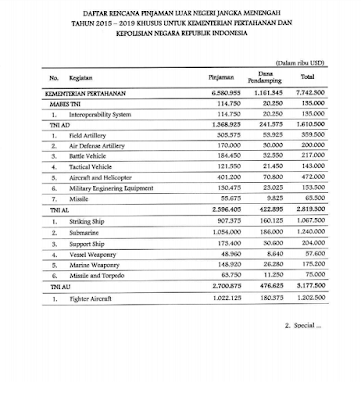 The Indonesian House of Representatives commission on defence, intelligence, and foreign affairs (Komisi I) has approved a request for funding from the country's defence ministry and the Indonesian Armed Forces (Tentara Nasional Indonesia, or TNI) to acquire a satellite from Airbus Defence and Space for USD849.3 million. 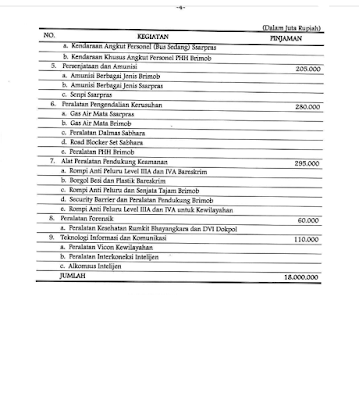 Plans to acquire the satellite were approved on 27 June, according to a transcript of proceedings between Komisi I and the Indonesian Ministry of Defence and TNI, provided to IHS Jane's on the day after. The satellite will be used for military satellite communications on the L-Band frequency and is targeted for launch in 2019. The satellite is expected to be developed with input from the military and various Indonesian institutions, but Airbus Defence and Space will be fully responsible for its launch. Upon launch, the satellite is expected to occupy the orbital slot of 123 degrees east longitude. 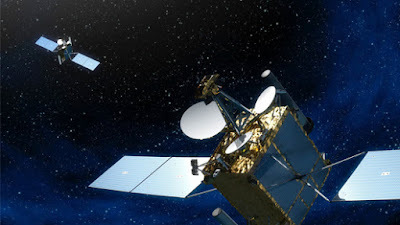 The orbital slot, which has been allocated to Indonesia by the International Telecommunications Union, was previously occupied by the Garuda-1 satellite belonging to Asia Cellular Satellite. However, it has since been taken out of orbit due to various malfunctions. The satellite's acquisition costs are expected to be disbursed by the Indonesian government over a five-year period leading up to 2019. JAKARTA -TNI Angkatan Laut akan segera memiliki kapal latih tiang tinggi (tall ship) penerus sang legenda KRI Dewaruci. Hal ini akan terwujud 2017 dengan kedatangan sang pengganti. Sebagaimana diketahui, KRI Dewaruci telah lebih dari enam dasawarsa mendarma-baktikan segenap kemampuannya dalam membidani lahirnya para perwira handal TNI Angkatan Laut. “The Legend Dewaruci yang merupakan kapal latih taruna AAL akan menyerahkan kepercayaan dalam mencetak para pemimpin masa depan bangsa kepada generasi selanjutnya. Kepercayaan tersebut jatuh kepada sang pengganti yang rencananya akan bernama KRI Bima Suci,” kata Kadispenal Laksamana Edi Sucipto melalui siaran pers yang diterima Okezone, Selasa (28/6/2016). Lebih lanjut Edi mengatakan pemotongan perdana baja (steel cutting) sebagai tanda dimulainya pembangunan KRI Bimasuci berlangsung medio November 2015 di Galangan Contruccion Navales Freire Shipyard, Kota Vigo, Spanyol. JAKARTA - Kadispenal Laksamana Edi Sucipto menjelaskan keunggulan kapal latih tiang tinggi (tall ship) KRI Bimasuci sebagai penerus sang legenda KRI Dewaruci milik TNI Angkatan Laut. “Jumlah layar 26 buah (KRI Bimasuci), sedangkan KRI Dewaruci 16 buah. Jika di KRI Dewaruci tidak terdapat ruang kelas, maka KRI Bimasuci menyediakan ruang kelas secara khusus sebagai tempat belajar para taruna AAL saat berlatih dalam operasi Kartika Jala Krida. Ruang kelas yang tersedia mampu memuat 100 orang taruna,” ujar Edi melalui siaran pers yang diterima Okezone, Selasa (28/6/2016). Lebih lanjut Edi menjelaskan KRI Dewasuci memanfaatkan geladak terbuka sebagai ruang rekreasi, sementara KRI Bimasuci menyiapkan ruang rekreasi dalam sebuah ballroom berukuran 11 x 10,5 meter persegi. “Tingkat kenyamanan juga jauh lebih meningkat sebab KRI Bimasuci menyiapkan perangkat multimedia,” katanya. KRI Bimasuci sendiri mampu menyediakan akomodasi bagi 203 personel. Kecepatan maksimal mencapai 12 knot jika menggunakan daya dorong mesin dan 15 knot jika menggunakan layar. Sementara itu untuk tingkat endurance (ketahanan berlayar tanpa mengisi BBM) dapat mencapai 30 hari. Kapal layar tiang tinggi ini pun dilengkapi dengan 5 dek, 7 kompartemen, dan 48 blok. Medio Januari lalu atau tepatnya 27 Januari 2016 KRI Bimasuci memasuki tahap peletakan lunas (keel laying). Dalam sambutannya, Direktur Galangan Guillermo Freire Garcia menyampaikan ucapan terima kasih kepada Pemerintah Indonesia atas kepercayaan yang diberikan kepada perusahaannya untuk membuat kapal layar latih. 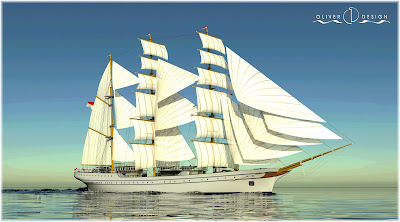 “Sebuah kepercayaan, sekaligus tantangan bagi kami, karena kami tahu bahwa pendahulu kapal ini, yakni KRI Dewaruci telah menjadi kapal yang terkenal dan menjadi legenda dunia”, kata Guillermo dalam bahasa Indonesia yang lancar. Pihak galangan rencananya akan meluncurkan kapal layar tiang tinggi tersebut ke laut pada pada akhir September 2016. 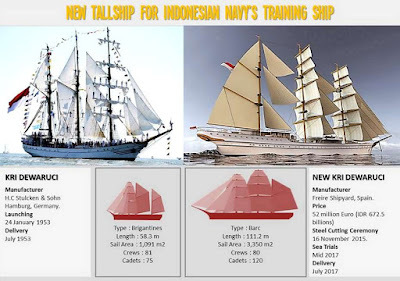 Pada Januari hingga Mei 2017 kapal layar itu akan menjalani tahap harbour trial dan sea trial. 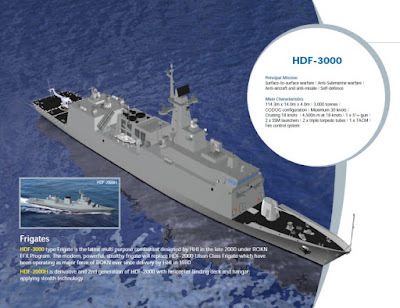 Hyundai Heavy Industries had proposed HDF3000 variant for Philippines Navy (image : HHI). MANILA (PNA) --- Representatives of the Philippine Navy (PN) have visited and conducted post-qualification inspections on South Korea's Hanjin Heavy Industries, Inc. (HHI), one of the proponents in the country's missile-capable frigate project. This was stressed by Rear Admiral Roland Joseph Mercado, Western Command chief and head of the PN technical working group head on the above-mentioned project Tuesday. He added that post-qualification inspection on HHI is "very favorable" and said PN representatives focused on the proponent's capability to meet the project's "technical proposals and technical requirements". Post-qualification inspections took place some three weeks ago, Mercado added. 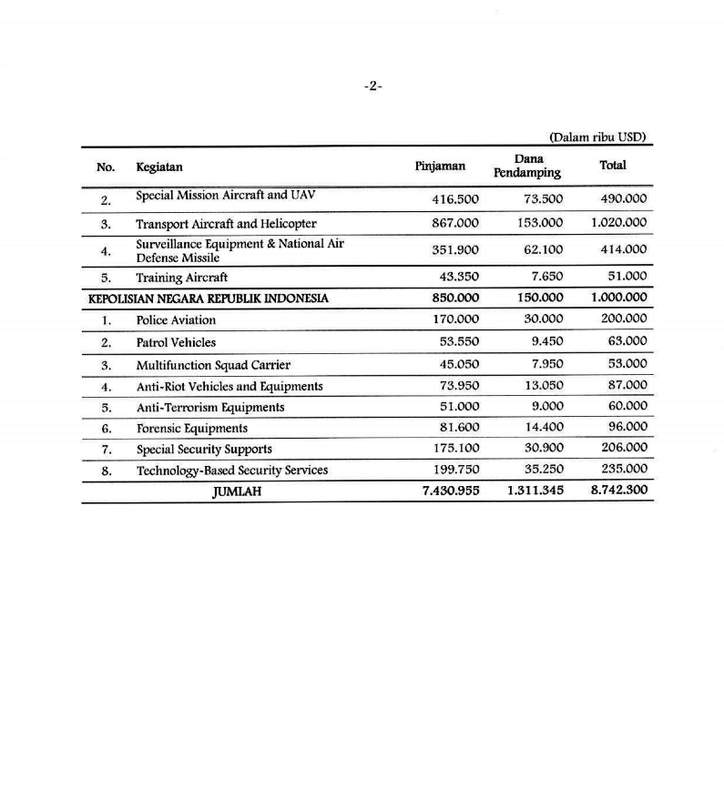 The Department of National Defense has allocated PHP18 billion for the acquisition of two missile-armed frigates capable of engaging surface, air and sub-surface targets. 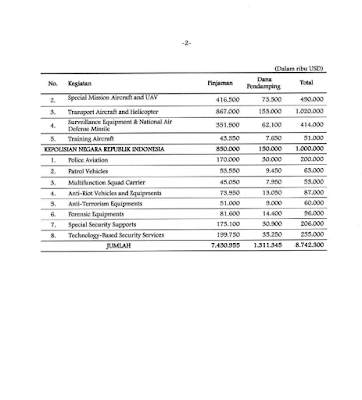 The budget can be divided into PHP16 billion for the ships and PHP2 billion for the weapon systems and munitions. 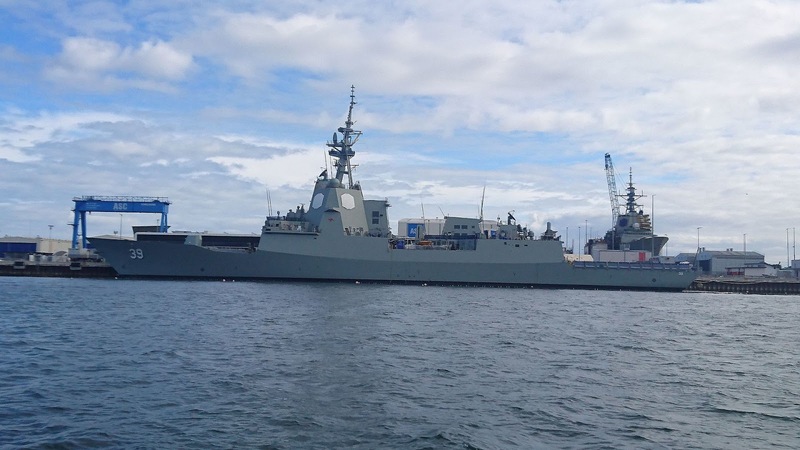 Mercado declined to give exact specifics of the frigate program but said the two ship can "must steam in speeds in excess of 25 knots and can engage surface, air, and surface threats" aside from helping in the PN's humanitarian assistance and disaster relief missions. He expects the ships to be in service within three to four years. Setelah sempat dinyatakan larang terbang, helikopter VVIP TNI AU dalam beberapa minggu ke depan sudah dapat kembali digunakan. Pelarangan terbang jenis Helikopter Super Puma L2 merupakan rekomendasi dari pabrik airbus terkait dengan beberapa rangkaian insiden kecelakaan yang menimpa Helikopter Super Puma L2. Kepala Dinas Penerangan TNI Angkatan Udara, Marsekal Pertama Wieko Syofyan menyatakan, Helikopter Super Puma selama ini dioperasikan skuadron tempur dan skuadron VVIP TNI AU. Untuk jenis VVIP digunakan sebagai kendaraan operasional Presiden, jika berkunjung ke daerah-daerah yang memerlukan akses transportasi udara, seperti dilaporkan Reporter Elshinta, Joko Ismoyo. Untuk mencegah kejadian yang tidak diinginkan, sesuai dengan saran pabrikan, Helikopter Super Puma menjalani serangkaian pemeriksaan oleh tim Keselamatan Terbang dan Kerja Mabes TNI AU. Dari hasil pengecekan, Kadispen TNI AU menyatakan tidak ditemukan adanya anomali atau kerusakan. Saat ini serangkaian uji tes terbang telah dilaksanakan dan dalam beberapa minggu mendatang diharapkan helikopter VVIP Super Puma dapat kembali beroperasi. Dengan alasan yang sama, kata Kadispenau, beberapa negara di Eropa juga telah menghentikan sementara operasi penerbangan yang menggunakan Helikopter Super Puma ini. 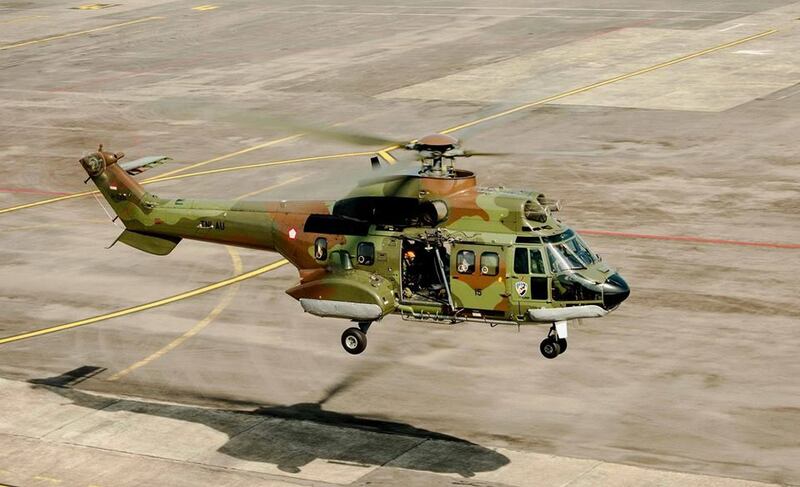 Wieko Syofyan tidak menjelaskan jumlah unit Super Puma L2 yang dimiliki oleh TNI AU. 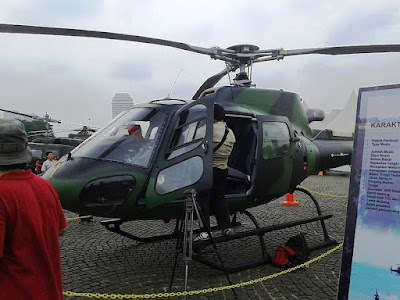 Selama ini, sejumlah pejabat negara, termasuk Presiden RI mengunakan Helikopter Super Puma yang dioperasikan oleh Skuadron 17 VIP TNI AU yang bermarkas di Pangkalan Udara Utama Halim Perdanakusuma, Jakarta Timur, sebelum kemudian dirawat dan dioperasikan oleh Skuadron 45 VIP yang juga bermarkas di Halim. 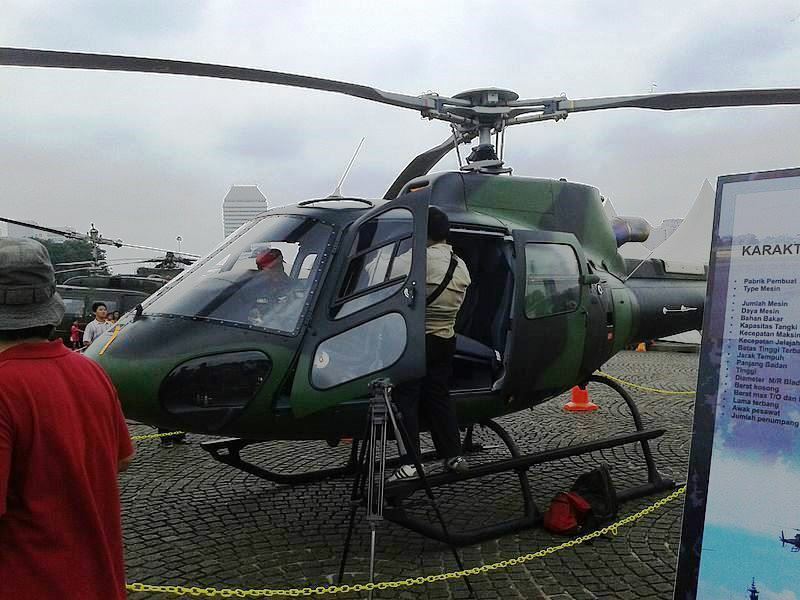 Skuadron 17 dan 45 tersebut merupakan skuadron khusus yang menerbangkan pesawat-pesawat atau helikopter-helikopter untuk VIP dan VVIP. 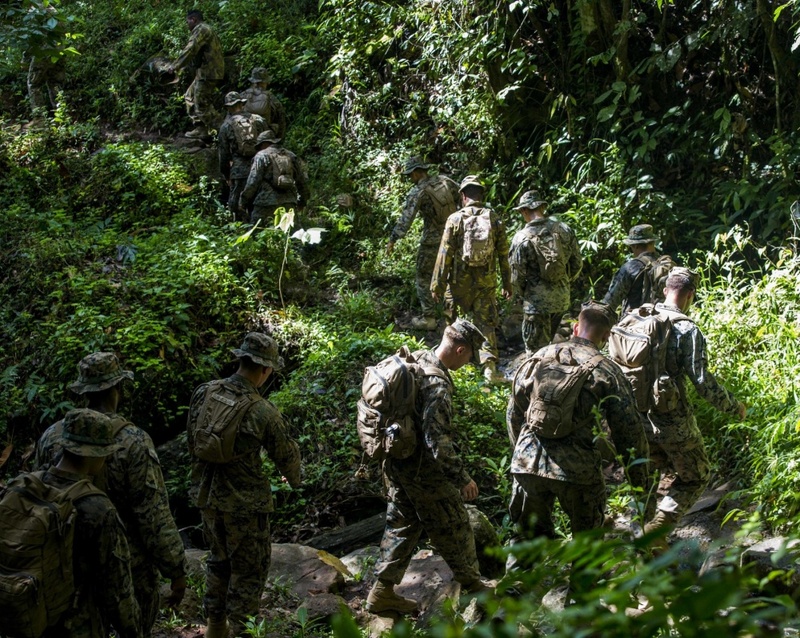 PORT MORESBY, PAPUA NEW GUINEA -- More than 130 service members from the Papua New Guinea Defence Force, U.S. Marine Corps and Navy mesh as one formation, despite the extreme heat and scorching sun, to celebrate the beginning of a beneficial future for all three components. Task Force Koa Moana and soldiers with the PNGDF held an opening ceremony for Exercise Koa Moana, at Taurama Barracks, Papua New Guinea, June 18, 2016. The task force arrived in Papua New Guinea via USNS Sacagawea, June 17, 2016, after traveling from Timor Leste for Exercise Crocodilo 16, as part of their deployment in the Asia-Pacific region. 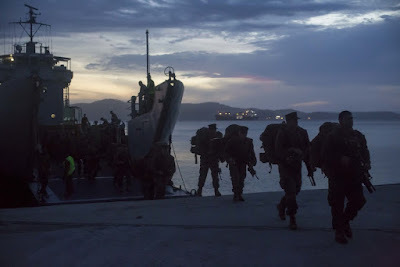 The PNGDF Navy had the opportunity to test their capabilities by using one of their naval vessels to transport the Marines, Sailors and their gear from ship to ship to shore. The PNGDF has trained frequently with the U.S. Army, but this marks the first opportunity for them to train with the U.S. Marines directly, specifically in infantry tactics, combat lifesaving techniques, engineering capabilities and non-lethal law enforcement capabilities. Papua New Guinea is the second of four destinations scheduled during Task Force Koa Moana’s deployment, which has been assigned the mission of conducting multi-national, bilateral exercises with multiple nations to increase interoperability and relations to preserve peace and stability in the Pacific. 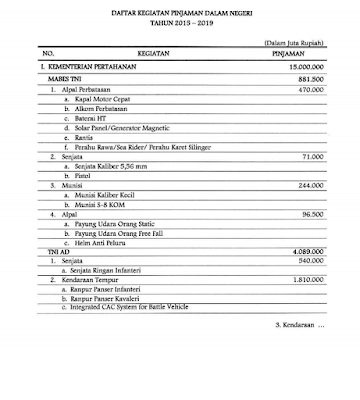 Data itu berupa dana atau budget yang akan disediakan untuk pembangunan pertahanan tahun 2015-2019, bersumber dari Bappenas. Sebagaimana biasanya, sumber dana berasal dari pinjaman dalam negeri serta luar negeri. 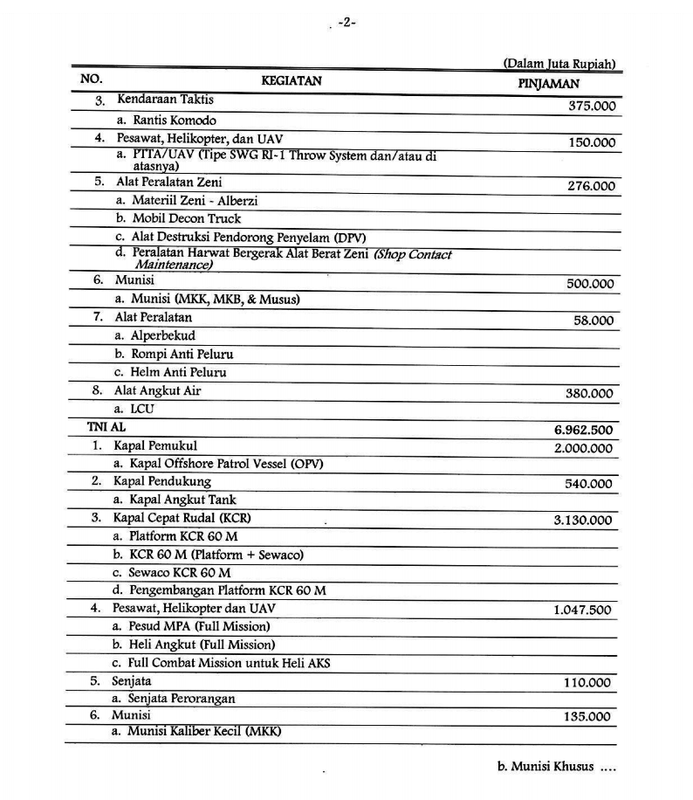 Dari dana pinjaman luar negeri, total Kemenhan mendapat alokasi US $ 7,7 miliar, dengan porsi terbesar untuk TNI AU yairu senilai lebih dari 3 miliar dollar. 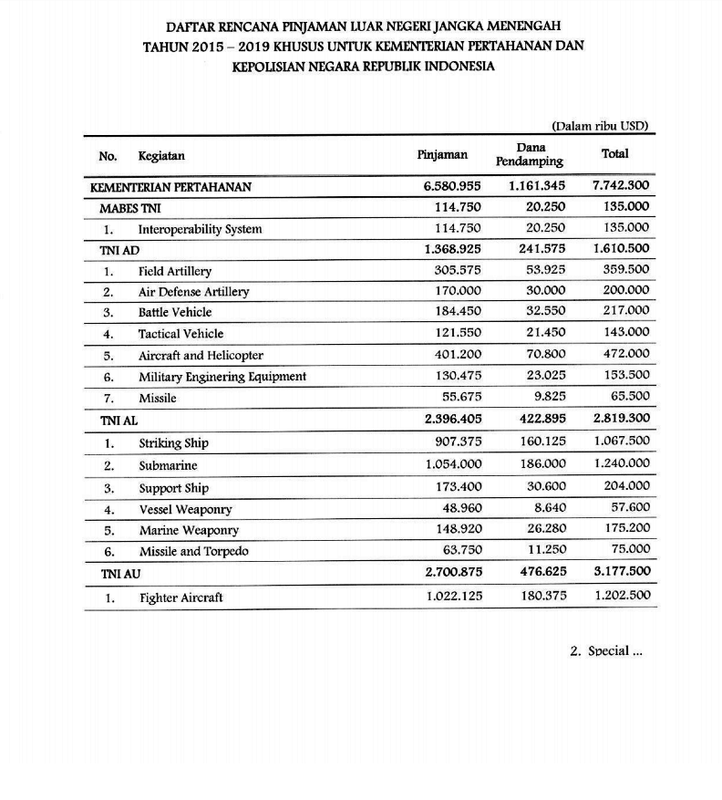 Dilihat dari besaran dana, tampaknya TNI AU akan membeli fighter senilai 1,2 miliar dolar serta pesawat transport senilai 1 miliar dollar. 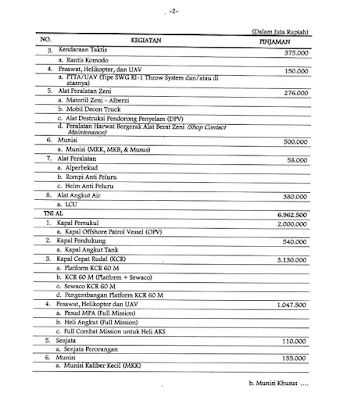 Sementara TNI AL juga menitik beratkan pengadaan peralatan striking dengan membeli kapal selam senilai 1,2 miliar serta kapal perang senilai sekitar 1 miliar dolar. Sementara TNI AD juga mengedepankan pengadaan helikopter dan disusul artileri medan. Untuk jelasnya, simak bagan dibawah ini. Lalu untuk pendanaan dari pinjaman dalam negeri juaranya adalah TNI AL dengan alokasi dana hampir Rp 7 trilyun. Hampir setengahnya dialokasikan untuk pengadaan KCR-60. Disusul pengadaan kapal OPV senilai 2 trilyun rupiah. TNI AD menjadi urutan kedua dengan alokasi dana pinjaman untuk kendaraan tempur. Sementara TNI AU dengan alokasi sekitar 3 trilyun rupiah, hampir setengahnya akan dibelikan NC-212 versi terbaru. Simak data dibawah ini untuk lengkapnya. Bisa pula disimpulkan pengadaan dari pinjaman dalam negeri lebih banyak diperuntukan untuk industri pertahanan dalam negeri. Data data yang dikeluarkan Bappenas ini tidak semuanya menyebutkan merk dan jenis alutsista tertentu. Utamanya untuk dana yang berasal dari pinjaman luar negeri. Namun dengan alokasi yang ada, bolehlah kita sedikit berharap pembangunan kekuatan TNI masih terus berlanjut. SEOUL (Yonhap) -- Hanwha Techwin, a South Korean defense manufacturer, said Monday that it has signed a parts supply deal worth 241 billion won (US$204 million) with Korea Aerospace Industries Ltd. (KAI), the country's sole aircraft manufacturer. The deal is designed to localize parts of the engine for South Korea's next-generation fighter jets, Hanwha Techwin said in a regulatory filing. 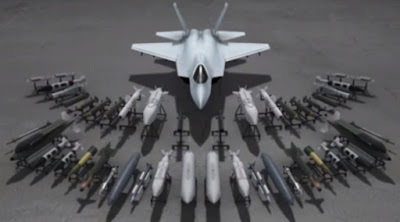 In May, South Korea picked U.S. company General Electric as the preferred bidder to supply engines for the KF-X project. KAI said Hanwha Techwin is set to import GE engines and localize some of them, and assemble the engines before delivering them to the South Korean government for the project. The KF-X project calls for building 120 locally made twin-engine combat jets. South Korea plans to deploy the new planes starting in the mid-2020s to replace its aging jet fleet of F-4s and F-5s. Shares of Hanwha Techwin closed up 2.94 percent at 47,200 won on the Seoul bourse on Monday. Hanwha Group took over Samsung Techwin, the defense manufacturing unit of Samsung Group, and renamed it Hanwha Techwin last year. HANOI -- Vietnam is looking to beef up its defense capabilities, particularly now that the U.S. has fully lifted its arms embargo against the country. It is especially keen to enhance its air patrols to counter China, which has been building military facilities on artificial islands in the South China Sea. The problem is the hefty price tag of U.S. gear. As an alternative, Vietnam is apparently looking to buy cheaper secondhand aircraft from Japan's Maritime Self-Defense Force. Vietnam has long wanted anti-submarine aircraft and many analysts thought Vietnam would move quickly to purchase one from the U.S. once the arms embargo was lifted. But Japan has also emerged as a potential supplier. According to a Japanese official, the Vietnamese navy informally asked in the spring to buy retired MSDF P-3C anti-submarine aircraft. 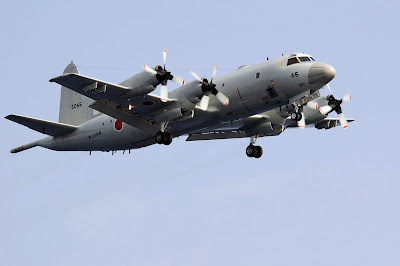 The P-3C patrol plane is a derivative of the P-3 Orion, a surveillance plane made by Lockheed Martin of the U.S. Japan's Kawasaki Heavy Industries is licensed to build the aircraft, which has broad search capabilities and is good at detecting submarines. The MSDF is said to own about 80 of the planes. Vietnam frets about China's underwater threat. Beijing is estimated to have at least 70 submarines. The Southeast Asian country has purchased six Kilo-class submarines from Russia since 2015. But that is far from enough to counter China. 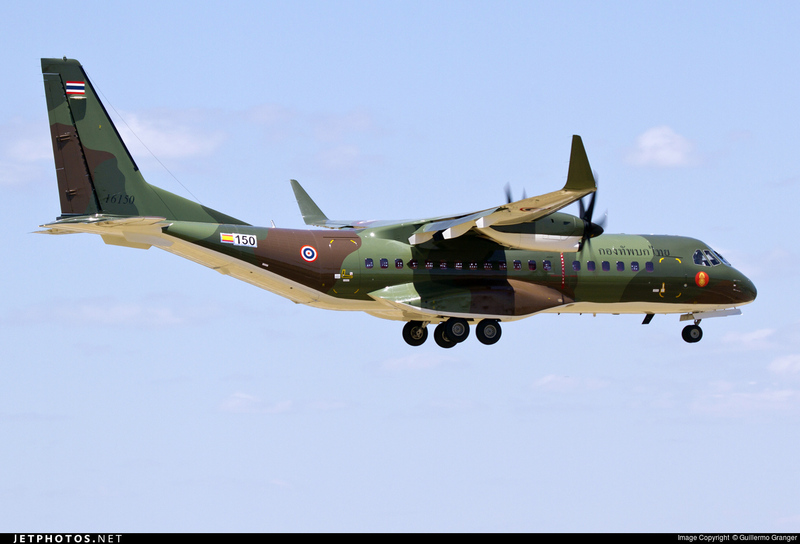 An improved air patrol fleet is essential to its anti-submarine capabilities. Reuters reports that Vietnam is expected to ask Lockheed Martin to for pricing and availability data on four to six older U.S. Navy P-3 Orions in the next few months. A brand-new P-3 would probably go for at least $80 million, which would keep Vietnam from buying more than one at a time. But money is not the only reason why Vietnam is turning to Japan. First, Japan will have more P-3C aircraft available. The MSDF has been replacing the propeller-driven planes with the cutting-edge P-1 jet since 2013. Also, Vietnam hopes to get training along with the planes. P-3C pilots must be able to distinguish enemy submarines from other craft by the sound of their screws, for instance. 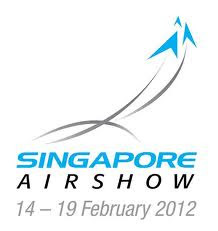 The MSDF is considered to be one of the most sophisticated operators of the aircraft in the world. Vietnam appears to think it would be easier to learn from Japan, with which it has political and economic ties. In addition, Vietnam apparently hopes to hone its skills through joint exercises with the MSDF. Japanese P-3Cs have been visiting Danang, in central Vietnam, for several years. This year, the two sides are scheduled to hold joint search and rescue drills. 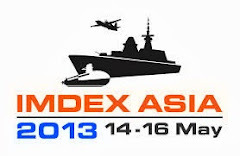 For the MSDF, the exercise is an opportunity to show off its humanitarian work. For Vietnam, it could provide advance training with the P-3C. In late May, after meeting with visiting U.S. President Barack Obama, Tran Dai Quang, his Vietnamese counterpart, welcomed the complete lifting of the 41-year-old arms embargo, which dates to the end of the Vietnam War. "Both countries have completely normalized relations," Tran said at a joint news conference with Obama after their meeting. Jakarta (ANTARA News) - Pesawat tempur multi peran buatan Saab Swedia, JAS39 Gripen, secara resmi telah ditawarkan kepada pemerintah Indonesia. “Kami telah mengajukan proposal resmi kepada Kementerian Indonesia pada Februari lalu dan kami menawarkan berbagai pola kerja sama dan transfer teknologi yang baik,” kata Kepala Saab Indonesia, Carl Calqvist, di Jakarta, Senin malam. Sejauh ini JAS39 Gripen telah dibuat hingga versi JAS39 Gripen A/B, JAS39 Gripen C/D, dan JAS39 Gripen NG (E/F) yang teknologinya melongkapi pesawat tempur di kelasnya. Sebagai misal, jarak tempuhnya1.680 kilometer alias berdiameter 3.360 kilometer, atau lebih dari setengah panjang wilayah Indonesia. Untuk Indonesia, katanya, Saab membuka seluas-luasnya pilihan varian yang diinginkan, apakah JAS39 Gripen C/D atau JAS39 Gripen NG (E/F), yang baru diluncurkan pada 18 Mei 2016 lalu di Linkoping, Swedia. Saab dari kantor pusatnya di Stockholm, kata dia, menawarkan pola pembelian dan kerja sama serta pengembangan dan teknologi untuk satu skuadron pesawat tempur. Jumlah normatif pesawat tempur dalam satu skuadron adalah 16 unit walau bisa lebih banyak atau lebih sedikit dari angka itu. “Yang menarik, enam di antara jumlah yang dibeli Indonesia itu nanti akan dirakit di Indonesia. Ini proses penting untuk penguasaan teknologinya,” kata dia. 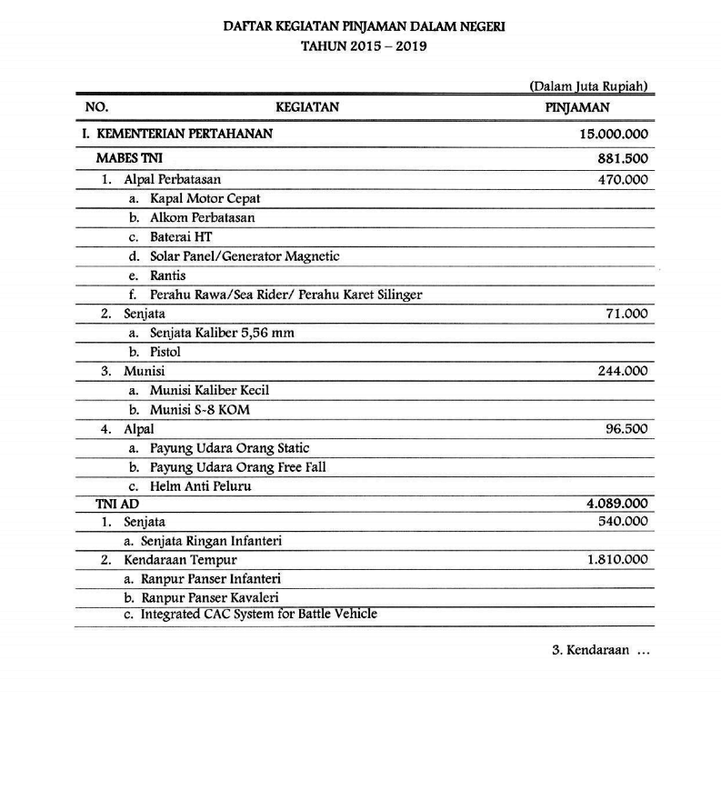 Pelibatan perguruan tinggi dan institusi penelitian-pengembangan dan industri pertahanan nasional yang terletak di Indonesia juga masuk dalam pasal tawaran proposal itu. 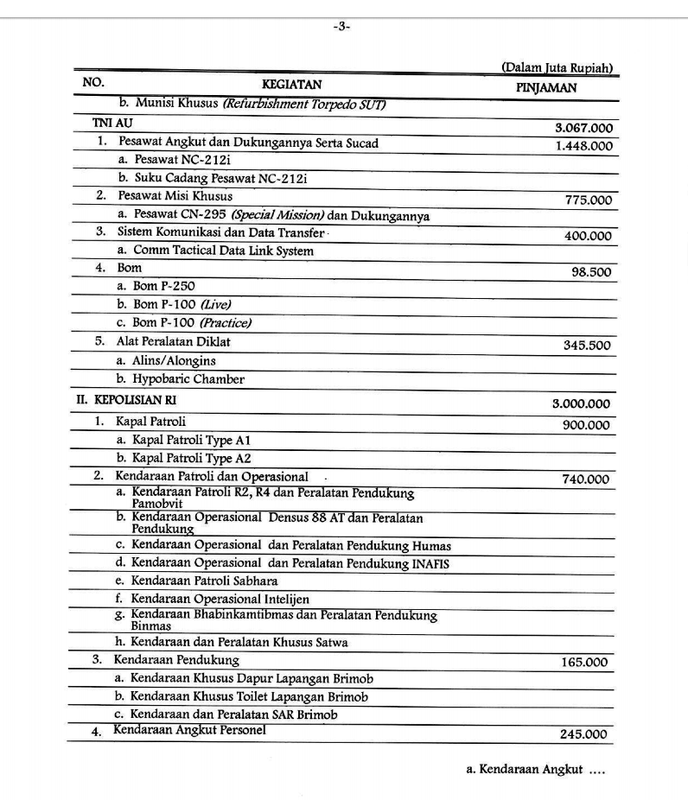 Dia katakan, paling tidak 1.000 tenaga kerja ahli Indonesia bisa turut dalam proyek pengembangan berbasis pembelian JAS39 Gripen dari Saab itu. Swedia sangat dikenal dengan konsep Triple Helix-nya, di mana pemerintah, institusi pendidikan tinggi-penelitian dan pengembangan, dan industri pertahanan berada dalam visi dan derap langkah yang sama. “Kami bukan negara super power dan kami sangat sadar itu. Inilah yang membuat kami mengembangkan semuanya secara cerdas dan terpadu dalam sistem yang telah teruji dan kami menaruh perhatian sangat besar pada kualitas SDM,” kata dia. 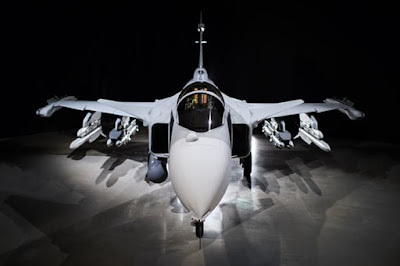 Sisa dari unit JAS39 Gripen yang dipesan Indonesia, katanya, dibangun di hanggar produksinya di Linkoping, Swedia. “Akan dikerjakan bersama dengan para teknisi dan ahli dari Indonesia dalam proses pembuatan dari awal hingga akhir di hanggar produksinya di Linkoping,” kata Calqvist. “Semuanya nanti akan menyesuaikan dengan keperluan Indonesia dan kami terbuka untuk berdialog tentang itu,” kata dia. 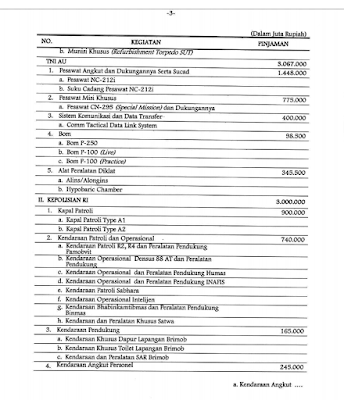 Dia mengungkap nilai kontrak yang bisa diajukan, yaitu 1,14 miliar dolar Amerika Serikat untuk paket pembelian satu skuadron JAS39 Gripen itu. “Saya bisa katakan, 85 persen dari jumlah itu akan berupa alih teknologi dan kerja sama industri pertahanan yang produknya bisa dipergunakan untuk kepentingan lain, sesuai keperluan Indonesia,” kata dia. Jika Indonesia menunjukkan komitmennya, kata dia, salah satu hal penting yang juga Saab ajukan adalah investasi dari sisi Indonesia pada aspek peningkatan kualitas SDM Indonesia untuk bidang teknik dan rekayasa teknologi. Dia menyatakan, ada beberapa skema dan tahapan yang dirancang dalam pola kerja sama pada proposal itu. Operator —dalam hal ini TNI AU— di antaranya akan bisa memperbaiki dan mereparasi pada tahap tertentu sehingga menghemat pengeluaran untuk pemeliharaan dan perawatan karena bisa dilaksanakan di Indonesia. 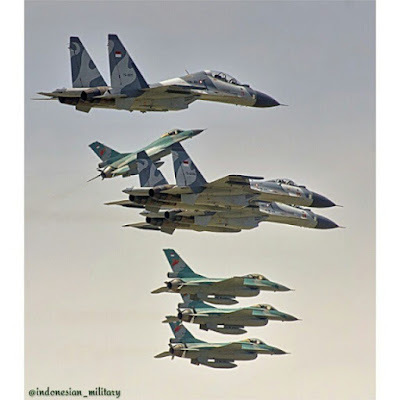 Indonesia berniat mengganti armada F-5E/F Tiger II di Skuadron Udara 14 TNI AU yang telah berdinas lebih dari 30 tahun dan teknologinya sudah jauh ketinggalan. Semula disebut-sebut akan ada beberapa pesawat tempur yang digadang-gadang akan beradu peruntungan. Mereka adalah F-16 Viper (alias F-16 Block 60 Fighting Falcon) buatan Lockheed Martin, Amerika Serikat, Sukhoi Su-35 (Knaapo, Rusia), Eurofighter Typhoon (Airbus Military, konsorsium Airbus), dan JAS39 Gripen C/D dan kini JAS39 Gripen NG (E/F) (Saab, Swedia). Berbeda dengan yang lain-lain, Saab menjamin unit pesawat tempur bermesin tunggal multi peran (interseptor, serang darat, dan pengamatan-pengendalian tempur) ini bisa mendarat di Bumi Pertiwi hanya 12 bulan setelah kontrak pasti ditandatangani. Umumnya pesawat tempur baru benar-benar hadir unitnya di negara pemesan antara tiga hingga lima tahun setelah kontrak pasti ditandatangani. Ekskalasi pertahanan dan politik di Laut China Selatan serta zone ekonomi eksklusif Indonesia di perairan Kepulauan Natuna semakin tinggi dan Indonesia perlu pesawat tempur multi peran yang bisa digelar bahkan dari pangkalan aju dengan dukungan paling minim sekalipun. Sampai saat ini, JAS39 Gripen NG dan keluarga Gripen secara keseluruhan merupakan “pendatang baru” dalam khasanah pesawat tempur canggih dunia. JAS39 Gripen diketahui --berdasarkan data teknis dan pengalaman empirik pengguna-- bisa lepas landas dan mendarat pada angka ratusan meter saja di jalan raya selebar 15 meter. 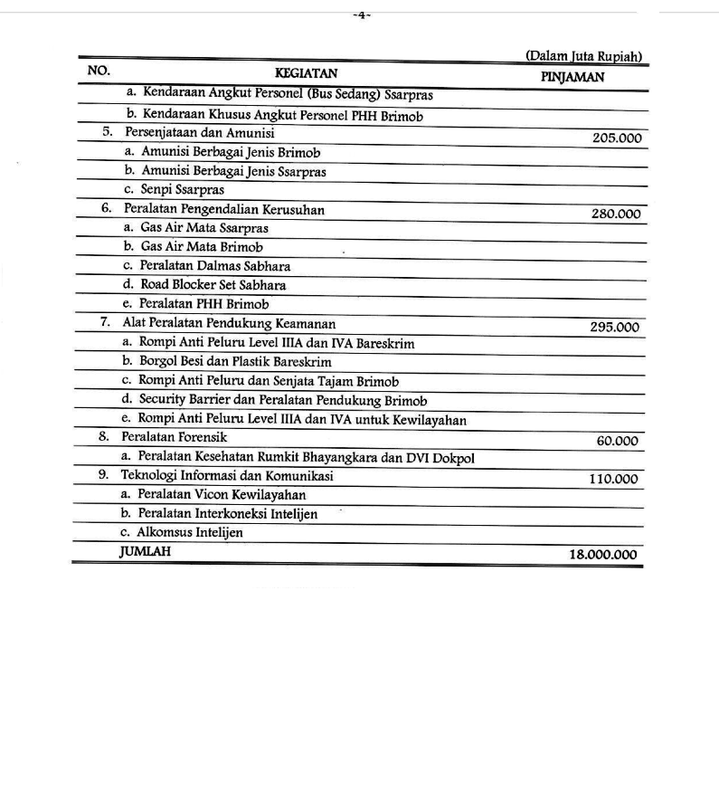 Untuk mendukung operasionalisasi dan perawatan/pemeliharaan lapangan satu skuadron penuh JAS39 Gripen, cukup diladeni belasan teknisi dan peralatan serta suku cadang yang dibawa dalam satu C-130 Hercules. 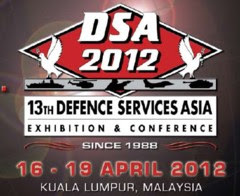 Dia berhadapan dengan keluarga Sukhoi Su-27, Su-30, dan Su-35, juga dengan keluarga F-16 Fighting Falcon, Eurofighter Typhoon, dan Dassault Rafale (Prancis). AWD Alliance celebrates the opening of the RAN’s Navy Training Systems Centre whilst the first destroyer, Hobart, progresses towards sea trials for the combat system. According to Lenta, after the T-54 Vietnam is Israel upgraded T-55M3 standard, the deck of this increase is a comprehensive makeover with unexpected strength. 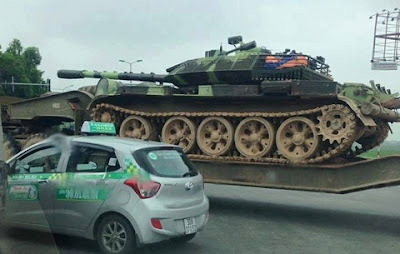 Firepower: According to the source, upgraded tanks equipped with heavy machine gun NSV 12.7 mm manufactured by Vietnam, a gun capable of attacking low-flying aerial targets such as helicopters, UAVs ... In field conditions, can also lower barreled guns to attack the infantry and enemy vehicles. However, the formidable firepower of tanks T-54 modernization / 55M3 is twisted 105 mm cannon type M68 / L7 of Israel. L7 cannon can shoot bullets APAM, or kinetic energy ammunition with cross bar with insulating tiles, enhance longevity and accuracy when shooting. In addition, to further enhance the firepower attack, tanks T-54 / 55M3 is also equipped with a coaxial machine gun 7.62 mm PKT. According to Lenta, machine guns and self-produced by Vietnam. 60 mm mortar is being deployed on the main battle tanks and Magach Mekava of Israel. 60 mm mortar is being deployed on the main battle tanks and Magach Mekava of Israel. This vegetation type is also equipped by Vietnam. With the support of 60 mm mortars, tanks can attack more effective against infantry hiding in the fortifications, or even high-rise buildings. Through pictures of prototypes made public, said Lenta, tank upgrade of Vietnam was equipped with meteorological sensors MAWS6056B due Idram Swiss company manufactured. MAWS6056B sensors provide meteorological parameters such as wind direction and speed, temperature and atmospheric pressure for the artillery ballistic computer. A special feature is the sensor is evaluated MAWS6056B modern, even advanced main battle tank of the French Leclerc are also using this sensor. Defense system: On defense systems, tanks were fitted with explosive reactive armor Blazer ERA box of Israel. The two sides are designed turret assembly reaction notched corners beveled to enhance dispersion of force penetrating warhead, the rear is fitted with cage armor. Overall, the T-54 turret / 55M3 western-style design, is evaluating the effectiveness of defense many times higher than the old turret. 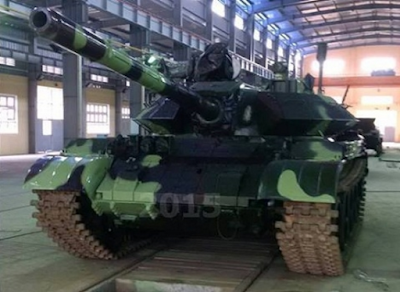 Under the plan, explosive reactive armor ERA 2nd generation developed by Vietnam will also be fitted to the position of "critical" by tanks, especially in front of the nose turret and vehicle. 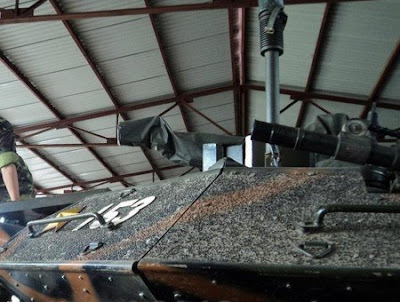 To improve the viability of the tank, crawler systems have also been strengthened by the armor protection riem, similar to armor caterpillars on foreign tanks. Turret sides of the vehicle is also fitted with the system smoke grenade launchers (large container), to launch smoke hiding the enemy tanks were laser beam, or aiming. According to the estimates of Lenta, version T-54 / 55M3 installed 1,000-horsepower diesel engine new German-made. With this engine, the ability to move the tanks will be increased significantly. The car is also fitted with the fire control system FCS Russian-made, perhaps this is a unique device is performed on the main Russian tank their upgrade. It can be said, through the details of the weapons systems, defense, engine, computer ... are installed on tanks upgraded T-54 / 55M3 prove effective. In the last exercise in 2011 to test the upgraded weaponry weapons DOD, T-55M3 tanks participated test firing and military officials appreciate, which, the car was able to shot while traveling forward, the ability to shoot the turret also faster than before. However, this is not the only upgrade package of Israel in order to increase the power of T-54/55 that Vietnam can refer. In particular, Israel has unveiled a new upgrade package for many types of increases, including T-54/55 with fire control system TISAS completely new. With TISAS, tanks equipped fighting will increase efficiency and productivity by providing operational data in both day and night, poor visibility conditions allow accurate fire shoot enemy targets soon discovered first at long range. Pada tanggal 16 Juni 2016 lalu di website Jetphotos dilakukan posting gambar uji coba pesawat angkut C-295 dengan identifikasi kepemilikan angkatan bersenjata Thailand. Selama ini belum pernah terdengar beritanya bahwa Thailand membeli pesawat jenis ini. 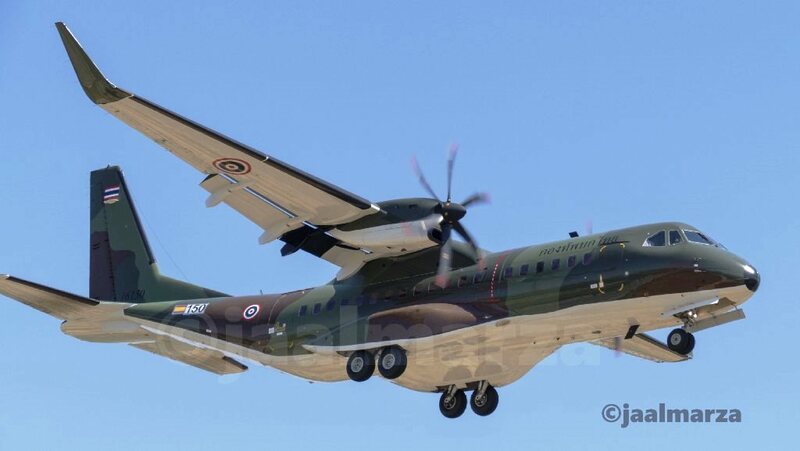 Menarik disini bahwa gambar yang diposting oleh Guillermo Granger yang diambil di Sevilla San Pablo - Spanyol ini merupakan pesawat C-295W serie pesawat yang telah dilengkapi dengan winglet di kedua ujung sayapnya. 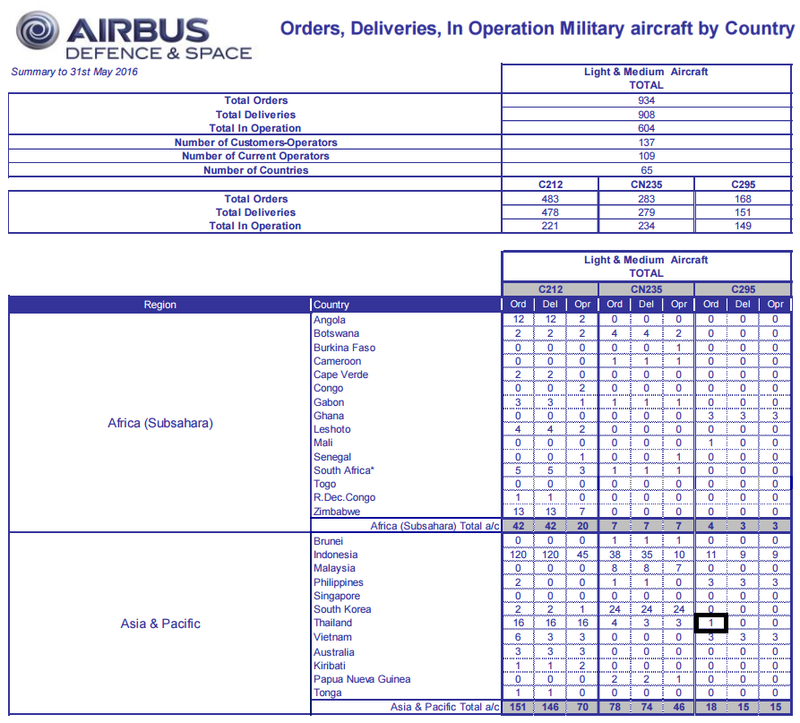 Jikalau melihat pada daftar pesanan yang dikeluarkan oleh Airbus Defence & Space, ternyata Thailand memang telah memesan pesawat ini dengan jumlah pesanan sebanyak 1 (satu) pesawat. Pesawat ini akan diperuntukkan bagi Angkatan Darat Thailand. Sebenarnya pesawat ini pernah terlihat pada 30 Maret 2016 lalu di Sevilla, namun pesawat ini belum diberikan identitas sehingga muncul analisis bahwa ini adalah pesawat milik angkatan udara Mali atau PNG, pertanyaan baru terjawab setelah pesawat ini melakukan uji terbang dengan identitas Angkatan Darat Thailand.